This book offers an in-depth account of social media, journalism and collective memory through a five-year analysis of Weibo, a leading Chinese micro-blogging platform, and prism of transitional China in a globalizing world. How does society remember public events in the rapidly changing age of social media? 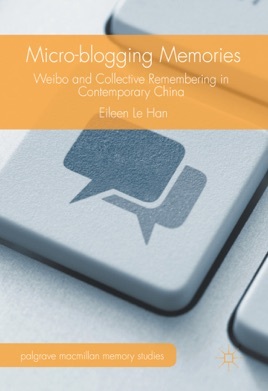 Eileen Le Han examines how various kinds of public events are shared, debated, and their historical significance and worthiness of remembrance highlighted on Weibo. Journalism plays a significant part in mobilizing collective remembering of these events, in a society with rapidly changing topics on the platform, the tightening state control, and nationalism on the rise. The first five years of Weibo reflect a dramatic change in Chinese society, where journalists, media professionals, and opinion leaders in other fields of expertise, together with ordinary citizens directly affected by these changes in everyday life collaborate to witness the rapid social transition.